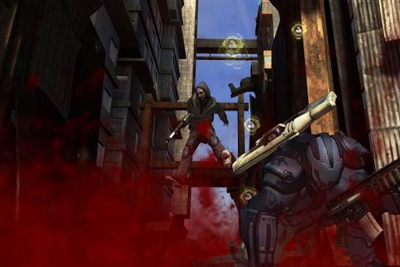 Crackdown 2 Will It Have A Niche Or Be A Full Blown Classic? For me sandbox games can be big either hits or misses. The GTA series has always been a big hit for me, and possibly the rest of the living, breathing gaming world. True Crime? Was a miss, tried to do what GTA did but take it down some what, which led to clunky game play and just genral rubbish. Now Crackdown was a game I happened to come across for about 7 quid in my local Gamestation, pre owned. I thought what the hell and gave it a whirl. The idea of super human cops in a sandbox enviroment shooting up the place was awesome, and to my surprise it was executed well. I was quite impressed with the games lack of story line, lets kill things till the game ends. It does make me want to go back for more, and I am still not sure to this day how Real Time worlds managed to pull it off. With the surprise success of Crackdown (and not because it was just a get out of jail free card for the Halo 3 Beta) Crackdown 2 is on he horizon. So what is this next installment going to offer us sandbox addicts? Lets find out. Here is a bit of background for you. 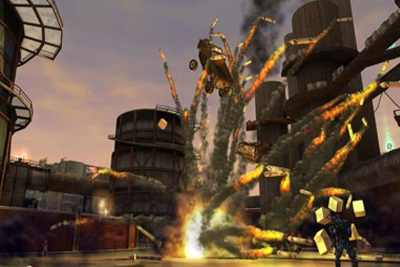 Crackdown 2 is not made by RealTime Worlds. It is in fact being made by a company called Ruffian Games. Why? Well some guys from RealTime decided to go rogue and have now created their own company, taking Crackdown with them. nice. Carrying on from Crackdown 1, it seems the city you once cleared of criminals now has something of a new threat. A viral out break that has sent people zombie crazy (This storyline in games never gets old) So the city has gone through some what of a metamorphosis, places have been cordoned off because of riots (weather that will effect the police I have no clue) there will be a lot more derelict and destroyed ares of the city, new building will have appeared, and some familiar sites you knew from crackdown 1 will be there. So it will still be Pacific City, it will have just changed. So how did all this polarva happen? Well on of the shi-gen factories on the first game which you happened to blow up housed this viral disease. So yeah its all your fault. Well done! So the agency was driven back by the outbreak and now you only have control of the Uber tower in the center of the city. A new group known as the Cell now control the city, they are a group that is described as “one that exists on the fringes, piecing together rubble into safe houses while fighting back at the maniacs.” It sounds to me like this story has more of…well a story. So I am pretty excited. After doing some more reasearch I have found out yet again that this game is about cleansing the city and restoring it. But and this is a big. BUT. The repetition from the last game will be less prevalent, Ruffian Games told game informer a while back that “Your influence in the world has effects across the rest of the city.” Meaning there will be more mission based scenarios. I also found out that the infected humans are not huge fans of bright light, meaning some missions will be set underground to tackle the viral outbreak. But the one thing that really made me smile is that when night falls, the freaks come out, meaning that your in for one hell of a joy ride battling these things above ground at night….Awesome. As with all new games such as this your are going to get a host of new weapons, my particular favorites are the ‘mag’ grenades which are magnetised so expect to stick them to vehicles and the like for some explosive fun, and the UV shot gun which shoots light at the infected. Sounds damn cool. The game will host 4 player Co op and multi player, so you and three of your mates can take on the new hell hole that is Pacific City together. This is all sounding great to me, cannot wait till its release, Might go off and play some more Crackdown 1 now.